Unmistakably the pinnacle in transportation, Rolls Royce wedding cars Melbourne will take your wedding from humdrum to exceptional. 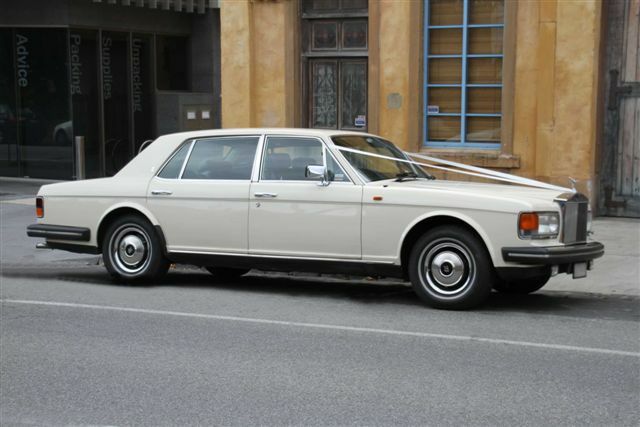 Not a vehicle most people can expect to ride in, take advantage of the excuse to enjoy the luxury and style of such an iconic car by arranging Rolls Royce wedding cars Melbourne for your day. There is good reason that the term “The Rolls Royce of something” refers to the very best that can possibly be, not just in cars. For over one hundred years, Rolls Royce has been producing a level of quality and luxury unsurpassed by other car makers. 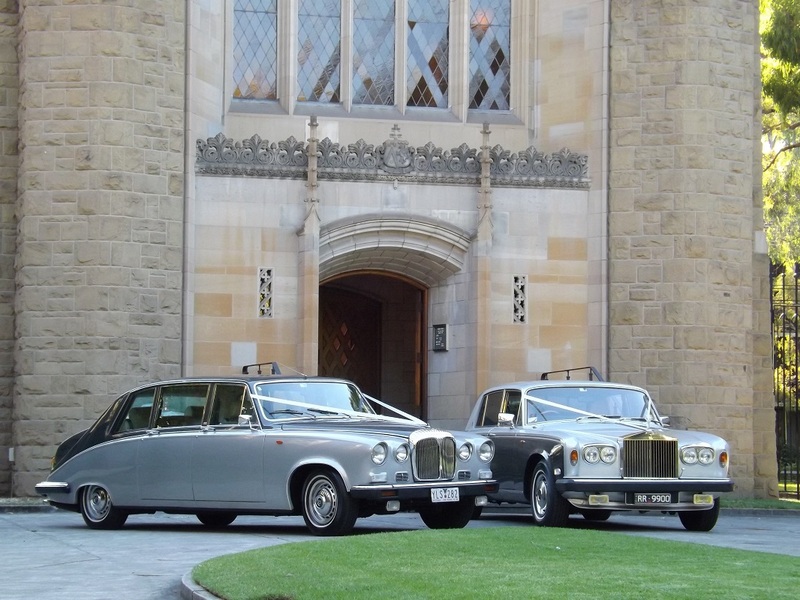 You will be astounded at the level of style and sophistication Rolls Royce wedding cars Melbourne can add to your event. British born in 1907, an enormous amount of effort goes into ensuring Rolls Royce vehicles are unique. From the engines, to the paint work, to the interior; the number of hand-crafted finishes stamps each vehicle with distinction and class. Champagne flutes for the back seat are actually a factory option if you are lucky enough to be purchasing one of these machines. This is not an easy task as they are as well known for their price tag as they are for their distinctive model names. The Rolls Royce ‘Silver Ghost’ is considered one of the most expensive cars of all time, being insured for over $48 million Australian dollars. While well-known for their luxury and decadent sophistication, quality and superior engineering is what has kept the Rolls Royce at the summit of their game. So much so, that for over 70 years Rolls Royce has also been making some of the worlds’ best jet engines. You cannot miss a chance to make one of these cars your ride for a day. Performance, power and immaculate interiors will make it a pleasure to get to where you’re going… and with Rolls Royce Wedding Cars Melbourne your entrance will be nothing if not grand. 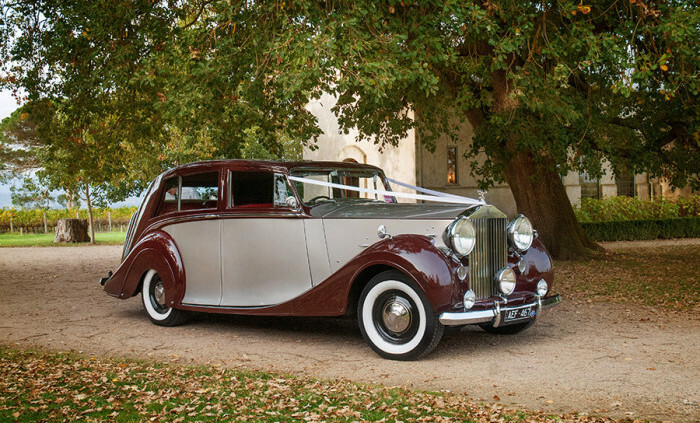 At the Victorian Wedding Car Association, we have members who specialise in Rolls Royce car hire in Melbourne and surrounding areas. If you are looking to hire one of these iconic vehicles for your wedding or event, our database will help put you in touch with some of the best in the business.